The Hercules Music Stand Cart holds up to 12 music stands, and features non-slip wheel for easy and quiet transportation. A comfortable rubber handle makes sure you don't shred your hands pushing the cart. Most school systems' bands play in a variety of locations. Why not get a cart specifically designed to get your stands from here to there safely, easily and quietly? 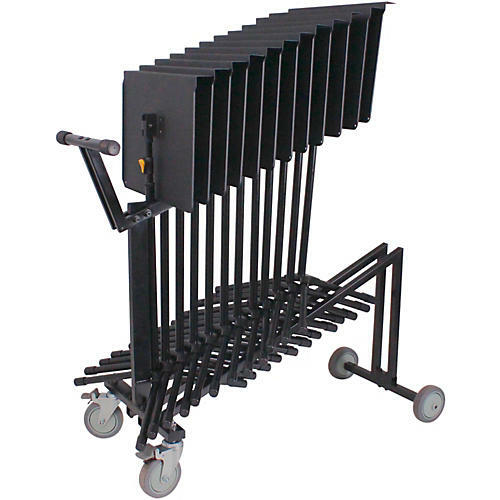 A must for high school and college band programs, or any ensemble that needs to move its music stands with any kind of regularity.